The Mid America Air Museum hosted the Annual Kansas Southwest Region First Lego League Championship. The event took place Saturday, March 23rd. 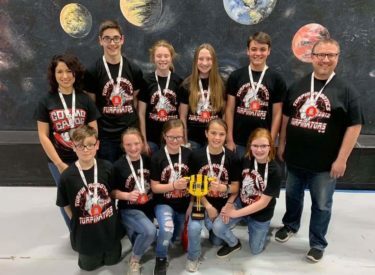 Teams from Oklahoma, Kansas, and Texas competed in this Robotics Competition. During the morning hours, the teams made presentations before a panel of judges and fine tuned their robots on practice tables for the afternoon table competition. Turpin Turpinators will be next competing in the World Competition in Houston TX. The event took over 70 volunteers to put on, and over 700 people were in attendance at the tournament. The Junior Lego League competed in the morning.